Nothing suitable in promotional yo-yo's? How about custom branded kids games & toys, logo printed corporate games or one of our promotional view finders? 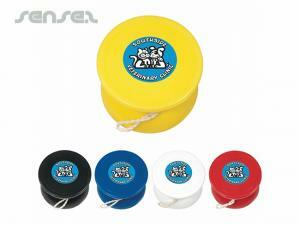 Custom branded promotional yo-yos are great for any marketing event. With custom business logo printed on these promo products, it is a cost effective means of advertising, branding and merchandising. 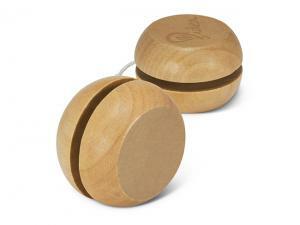 Yo-yos are great for kids and outdoor events. It is also a great marketing give away for the young at heart. 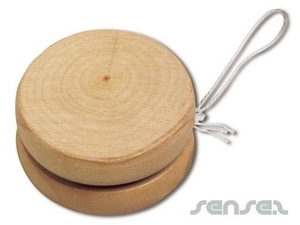 Yo-yos are a fantastic way to promote your brand and business. 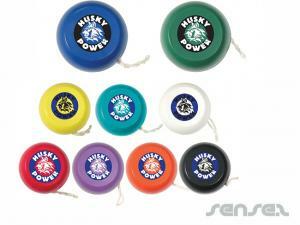 Custom promotional yo-yos will never go out of style and are great for promotional outdoor games and toys. A cheap and cost effective marketing tool that is suitable for all ages. 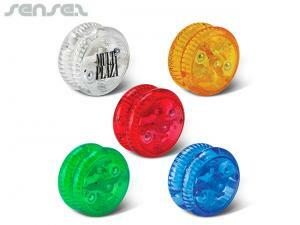 Our promotional yo-yos are available with light up LED lights for a colourful and exciting branding tool. 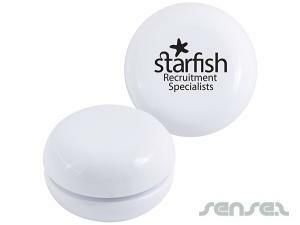 We also have promotional branded ball shaped yo-yos suitable for sport events, such as basketballs, golf balls, footballs and soccer balls. We also have available a more premium option for corporate merchandise and business marketing in our silver and chrome branded yo-yos. 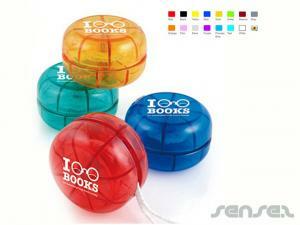 Promotional product items such as these yo-yos will be used over and over again. Everyone will constantly be reminded of your brand as they enjoy this fun and addictive pastime. You can't go wrong with these entertaining custom printed yo-yos for your next event.